Feast your eyes. Now that is quite something. Much better than the very boring UK cover for The Magicians, especially given the spectacular cover it received in the US. Given this cover I'd love to see Grossman's UK publisher redo The Magicians in a similar style with buttons as a design element. If you missed it the US cover for The Magician King is has been released as well. Is it August yet so I can read this already? 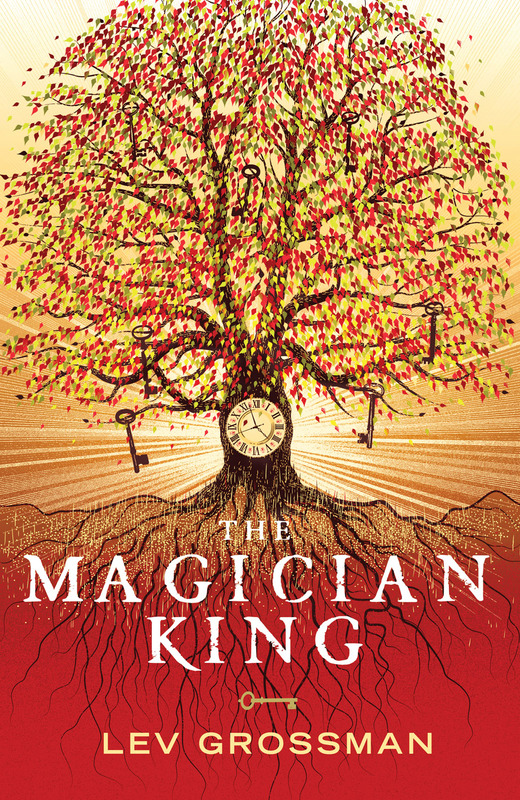 I might be in luck though as Grossman will be doing a signing at Book Expo America this year in late May for The Magician King. I really like that cover. Very eye-catching for me. Cool colors :). Wow, that's a great cover! I'm really looking forward to reading this one!